Make Your town a safer place to live. Be a crime stopper! Working closely with law enforcement agencies and media outlets, citizens just like you have helped Lawrence and Douglas County Crime Stoppers become an instrumental part in protecting Douglas County. Thanks to this community support and the promise of anonymity, Crime Stoppers has been able to solve seemingly impossible crimes with few or no leads all because of just one phone call. With the assistance of a police coordinator – who acts as the communication facilitator between citizens, media and law enforcement – callers can remain anonymous and earn cash if their information helps solve a major crime. 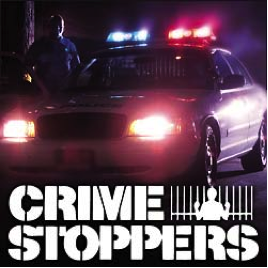 Crime Stoppers is a non-profit organization made up of concerned citizens united with the efforts of law enforcement agencies. The program spreads the word about fugitives and unsolved crimes, increasing the chance of capture and solving crimes. Callers can report possible drug houses without the fear of retribution by doing so anonymously. Call or email today to find out how you can become a member and help keep your community safer.